See how BU Alums are making an impact! 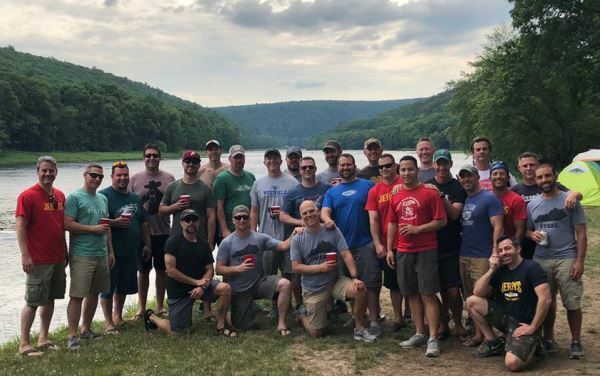 The Bloomsburg University Alumni Association provides opportunities for alumni to "connect" and network professionally and socially at a variety of events, as well as support and advocate for the the university. Formed in 1871 and incorporated in 1933, the Alumni Association are the memory keepers of the university and a living legacy of BU, Created by alumni, the association is a non dues paying organization overseen by an board comprised of 24 volunteer directors. 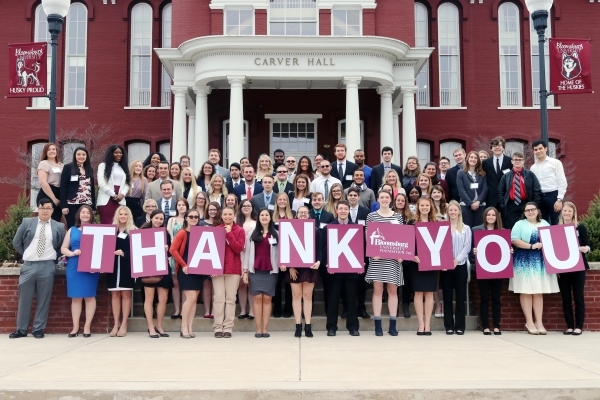 Today, Bloomsburg University has more than 70,900 living alumni. Distinguished Service Award:This award recognizes alumni who have excelled in at least one of the following areas: Significant accomplishments in his or her profession, outstanding service to Bloomsburg University/Alumni Association, and/or contributions to humanity. Maroon and Gold Excellence Award; This award recognizes alumni who have graduated within the past 15 years, have met one or more criteria for the Distinguished Service Award (above) and have demonstrated outstanding potential for further contributions. Honorary Alumnus Award:This award recognizes special individuals who, while they did not graduate from Bloomsburg University, have played a significant role in the life of the university by their generous and caring spirit and the example they have set for all BU alumni. Nominations for the 2019 Alumni Awards have closed. Please consider nominating next year! Volunteer Network Leaders are individuals who work closely with other volunteers, the Alumni Board and Alumni Engagement staff to coordinate activities and events for the network. 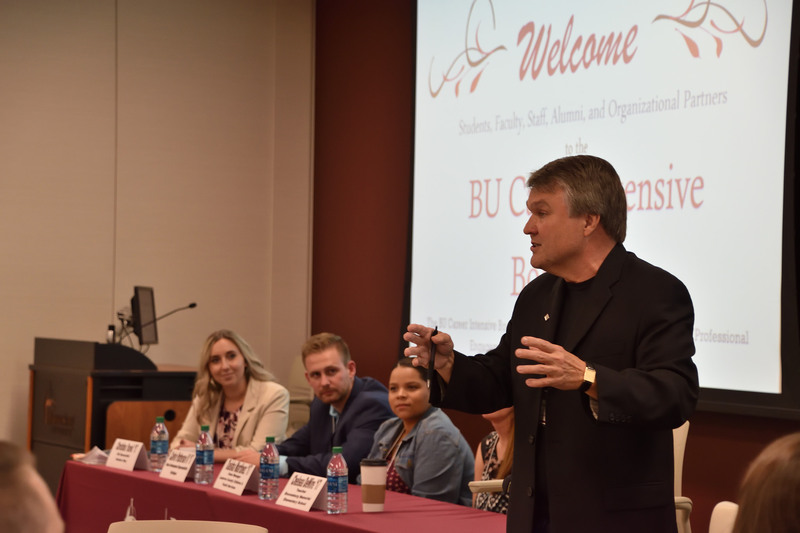 Primary Responsibilities include planning events and professional/social networking opportunities, attend and support network events, support the philanthropic goals of Bloomsburg University, and sustain loyalty and enthusiasm among alumni. Time Commitment is generally to attend several planning meetings each year and attend network events as scheduled. Share your professional experience and personal passions and give back to your alma mater. 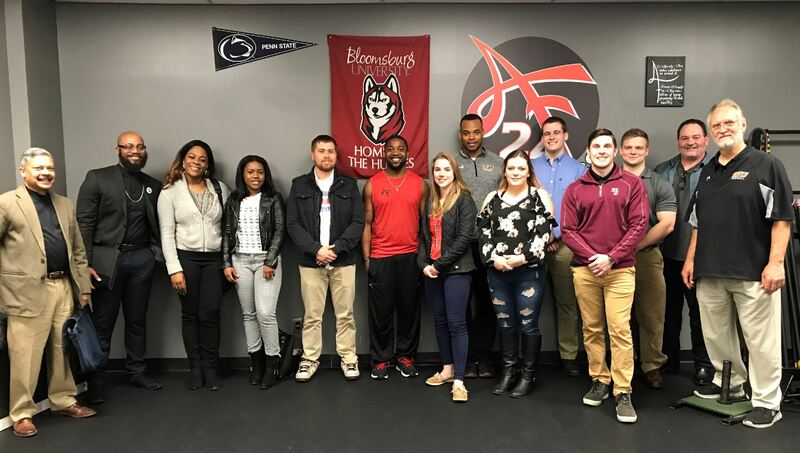 Alumni in the Classroom volunteers are alumni who act as career consultants for current students in various ways, such as giving a classroom presentation, participating in a panel discussions of choice, or assist in conducting mock interviews or resume reviews. Explains the transition from the undergraduate experience to the "real world"
Time commitments are solely up to you and you can participate virtually! Let us know if you're interested! BU has a new career services platform in Handshake. Update your Handshake profile now in order to Hire a Husky! If you aren't familiar with Handshake, email us and we can help! Husky Career Road Trips offer students the chance to spend the day at your company touring the facility, meeting staff and gaining insight into specific industry or career opportunities. Let us know if you'd like to host! Career Intensive BootCamp is a 2.5-day experience for seniors, juniors and recent graduates to learn how to leverage their skills and experience to be successful in the transition from student to professional. 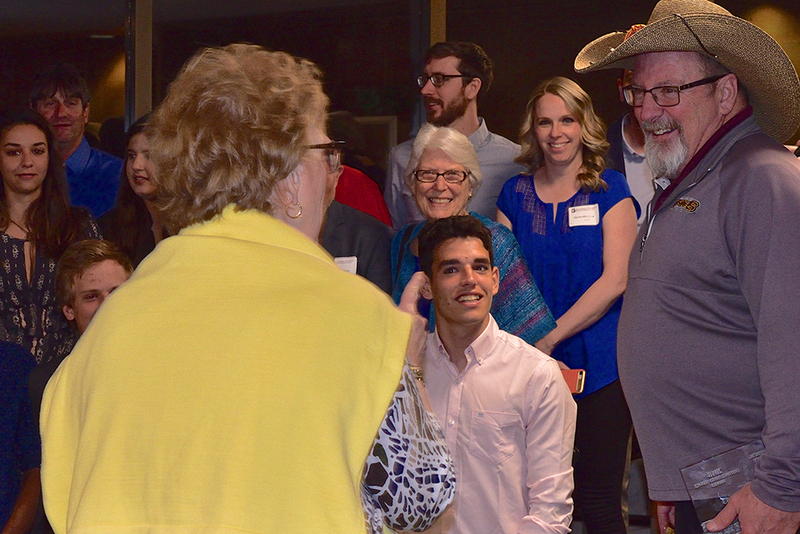 Thanks to support from donors and volunteers who helped to make the Boot Camp a success, participants have the opportunity to network and learn from more than 60 BU alumni, organizational partners, faculty, and staff members. Professional Experience Grant (P.E.G.) provide financial assistance to offset the cost of participating in career experiences that help students apply what they are learning in the classroom, establish a professional network and obtain career experience in the workplace. Faculty mentored research oracademic internships, study abroad, creative performance activities, service projects or professional conferences are all considered and allow students to get involved in their chosen careers and work alongside colleagues and faculty mentors. All full-time degree students may apply for financial assistance. The Henry Carver Fund, provides current-use support for a range of real-world, hands-on experiential learning for students, research opportunities for faculty, and programs and projects that benefit the entire University community. Gifts to the Henry Carver Fund have an immediate impact on BU students. Donors provide an opportunity to forge the future of a department, program or college initiative and focus attention on topics relevant to today’s world.